It’s time for berry picking season in the tri-state area! I remember when I was a kid heading out to the farm and picking our own strawberries right in the field (and eating about half before we even got back to the car). There is nothing quite like the taste of a fresh strawberry, right there on the farm, out in the very field it where it grew…even with a little dirt still attached. Yum! I started asking around about good berry picking farms and found that there are some really great spots around town…so I wanted to spare you the legwork and share what I found. Gather your baskets together and load up the car…we’re going berry picking! Prime strawberry-picking season runs from just about Mid-May until Mid-June…so not a huge window. Blueberries, raspberries and blackberries start about mid-June and runs through mid-July. My suggestion is to head out when the season first begins, load up on fresh berries, then freeze, can, and cook all you can’t use right away..and eat the rest! Most places encourage you to bring your own berry picking containers such as baskets (which will keep your berries from getting squished like they would in a bag). 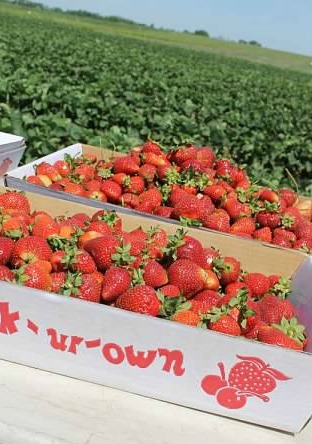 Below you will find a listing of some pick-your-own berry farms around the tri-state. Do check the farm’s website before you head out to make sure they still have berries in the fields before you head out or you could waste a trip. Blooms & Berries Farm Market – 9669 S. St. Rt. 48, Loveland, Ohio 45140. Berry picking begins mid to late May and runs through mid June (check ahead for availability). Bring your own containers or purchase them at the farm. Berries sold by weight. Check website for hours and availability, or check out the Blooms and Berries Facebook page. Branstrator Farm – 885 N. George Rd. Clarksville, Ohio 45113. Beyond strawberry picking, Branstrator Farm also hosts the Strawberry and Asparagus Festival on May 24 and 25 this year! Pick your own berries AND asparagus and take part in fun activities around the farm (pet the alpacas, anyone?) Shop at vendors such as Peaceful Acres Lavender Farm, then grab a Street Pop or strawberry shortcake as a treat. More info can be found on their website or Facebook page. Stokes Berry Farm– 2822 Center Road, Wilmington, Ohio 45177 (937) 382-4004 Fax (937) 383-0317. Strawberries, red raspberries, black raspberries. No organophosphate pesticides used on any of their crops. Families are encouraged to take a picnic and enjoy the day at the farm. Disposable containers provided at no extra charge. Hidden Valley Fruit Farm– 5474 North State Route 48, Lebanon, Ohio, 45036. 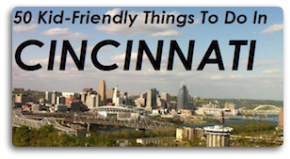 (513) 932-1869. Strawberries and blueberries. Check their Facebook page for updates: https://www.facebook.com/HiddenValleyFruitFarm. Hidden Valley also has gorgeous bedding plants as well as potted plants and hanging baskets and hosts several fun festivals throughout the year Info on their website. Rouster’s Apple House– 1986 State Route 131, Milford, OH 45150. 513-625-5504. Blueberries and Blackberries. Check their google site for info on the beginning of the season. TCC Berry Farm– 1466 US Hwy 50, Milford, OH 45150. 513-248-0452. Raspberries. Berries will be ready for picking near the third week of June. Picking containers are available at no additional cost. Iron’s Fruit Farm– 1640 Stubbs Mill Road, Lebanon, OH 45036. 513-932-2853. Listed as a u-pick site for apples but other crops available. Call ahead for info. Red Barn Farm (Formerly Keith’s produce)- 1330 Knoxville Road, Dry Ridge, KY 41035. Phone: 859-391-4433. Strawberries. 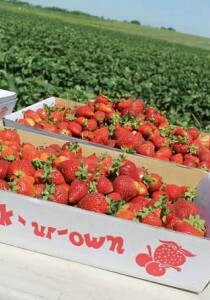 Visit http://www.pickyourown.org/KY.htm for more info as Red Barn has no web presence. Barker’s Blackberry Hill Winery- 16629 Mt. Zion-Verona Road, Crittenden, KY 41030. (859) 428-0377. Blackberries. While you are there you can also pick up Blackberry Wine: Dry, Sweet, Semi-Sweet; Cherry Wine; Mead (Honey) Wine. Bring your own containers or purchase theirs. Bright Star Acres- 3675 Alexander Road Demossville KY 41033. (859)356-0612. Blueberries, blackberries, raspberries. Check the website for updates on season kickoff. Quarter Amish– 24611 Van Wedding Road, Sunman, IN 4704. (812) 623-2803. Blackberries. Pick your own blackberries begin in mid-July. Educational tours available as well. Call for info. Joe Engelbrecht’s Fourth Generation Orchard– 16820 Petersburg Rd., Evansville, IN 47725. 812-305-5070. Strawberries, tomatoes, asparagus in May, peaches plums cherries, watermelon, corn, berries in June-July. Apples, apples and more apples in Aug.-Oct.
Mayse Farm Market– Mayse Farm Market, 6400 N. St. Joseph Ave., Evansville IN 47720. 812-963-3175. Strawberries and sweet corn are their specialties. You can also purchase Bolga baskets from Ghana…what better way to carry away your delicious berries! Call ahead for more information. We strongly suggest calling ahead to all above venues before heading out on your berry picking expedition to make sure they have berries available and to double check hours. While all efforts have been made to insure this information is correct, websites can go out of date quickly and we don’t want to send you on a wild berry hunt! Know of one we might have missed? Please share in the comments so we can add it to our list! Enjoy your berries! Happy Spring!